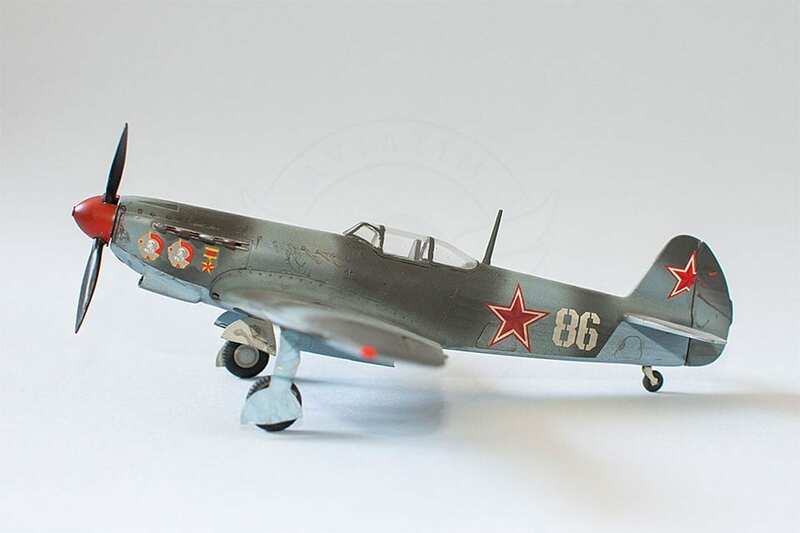 Soviet Air Force - Yak-9D no. 86 . Ark Models, 1:48 scale. 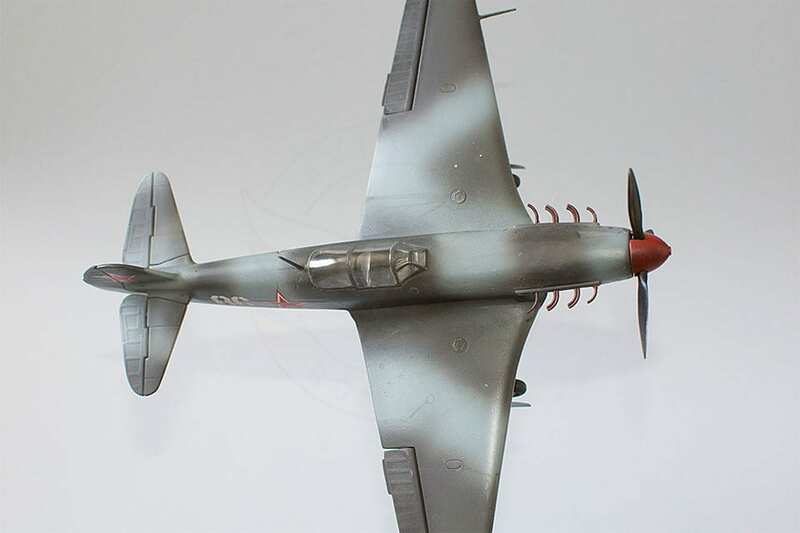 Just finished the Ark Models Yak-9D in 1:48 scale. It is a pretty good model, with minor assembly problems. The only exception is the instruction sheet. It is not written in English and is printed in black and white. That will be a problem when you will get to the point where you will want to paint the model. But this problem is easy to overcome with the help of the all mighty Google. 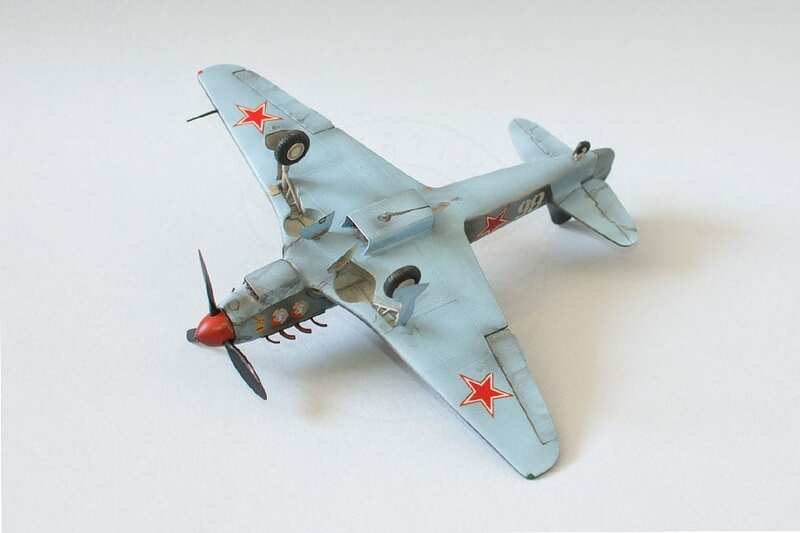 As for the Yak-9D model, with a little work and patience, you can build a very nice 1:48 scale model of a W.W. 2, Soviet Air Force Yak-9D. You can leave the engine hoods open, unlike me, as it is very detailed and it can be improved with aftermarkets. 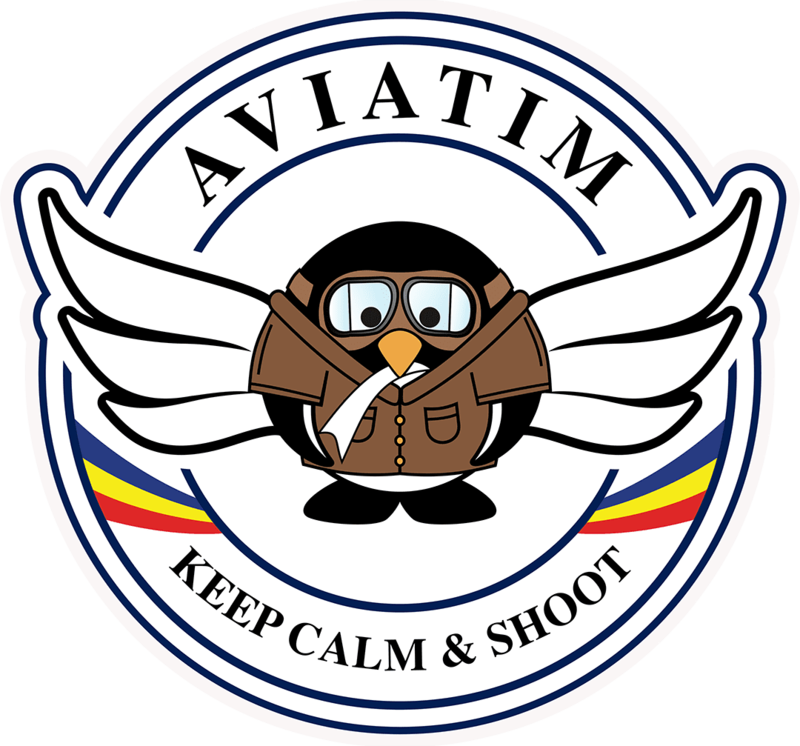 If you do not intend to do this, you can leave out the engine entirely. It cannot be seen with the hoods in closed position. The cockpit is not very detailed. It can not be built with the canopy in open position, so it is not really worth the effort to insist over it. 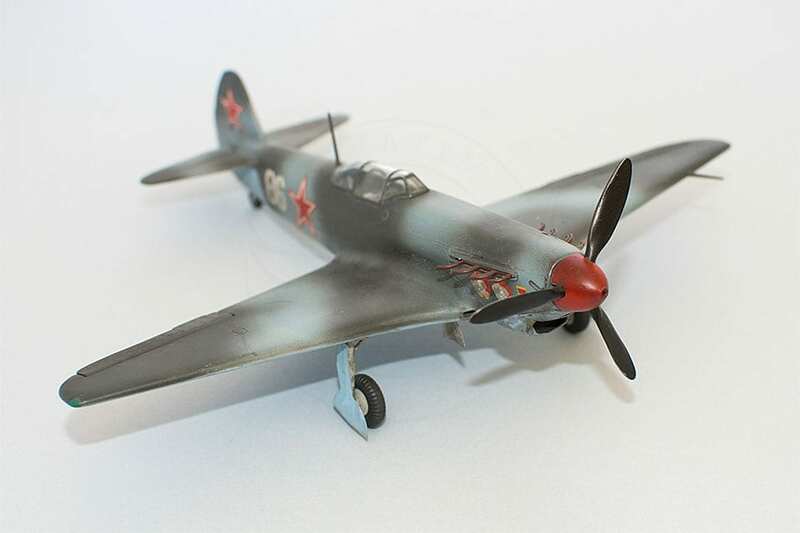 The only improvement I made to the cockpit was the Park photo-etched seat belts that I initially bought for an old Yak-3. I also used photo-etched parts for the wings, fuselage caps and landing gear. 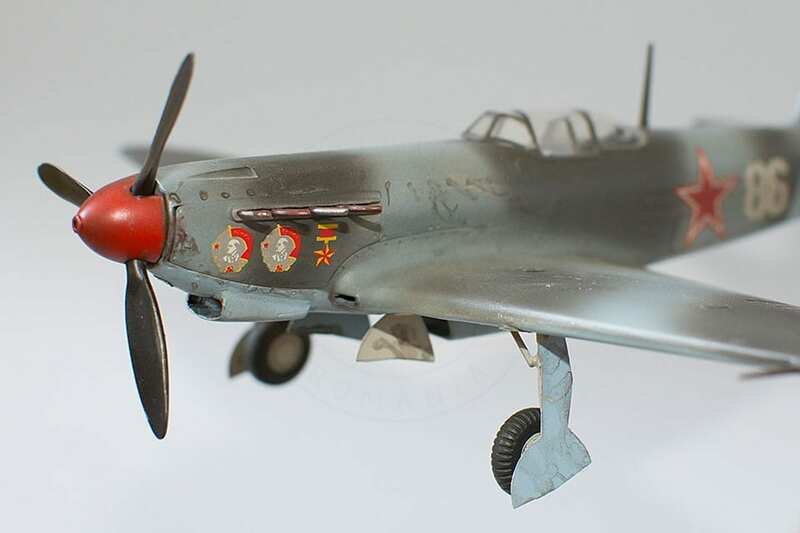 For painting the Yak-9D, I used enamel paints from Humbrol and Revell. 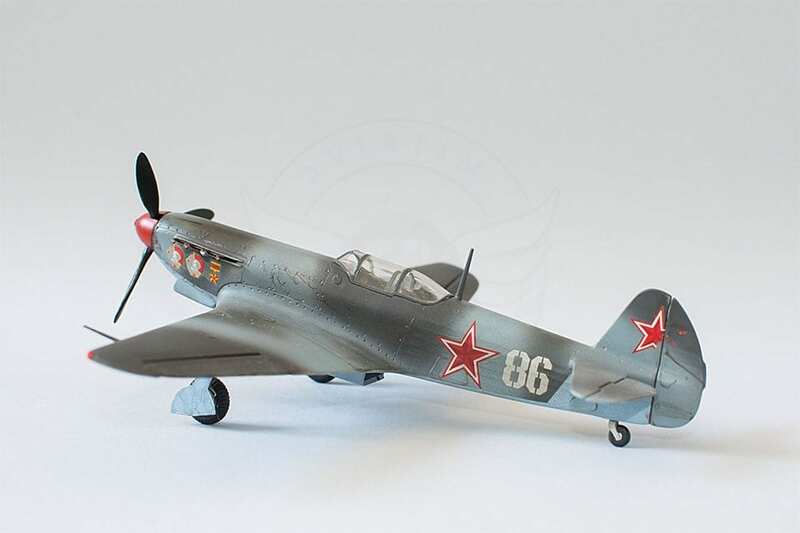 First I painted the entire Yak-9D model in aluminum. This procedure highlights potential other problems that could arise such as cracks, parts that do not fit perfectly, etc. The tires were painted in matt anthracite 8 from Revell. To finish off I applied semi-gloss all over the model. 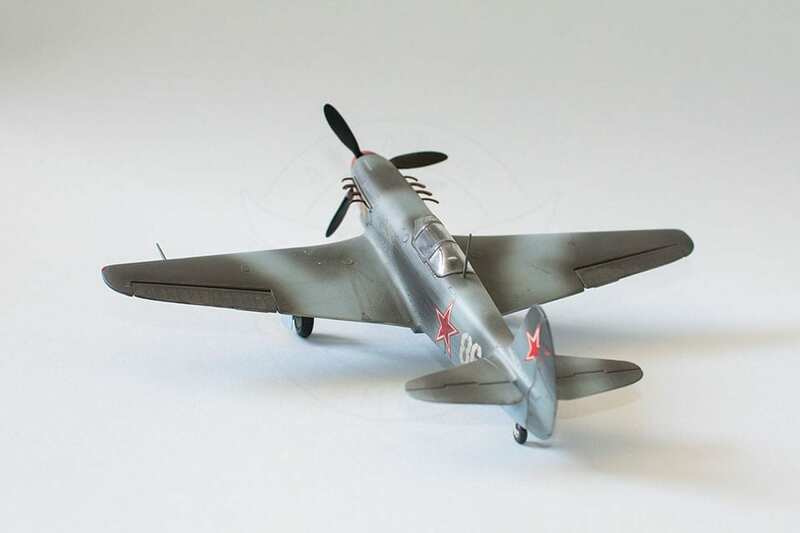 The markings pose no problem, but they come in only one variant – Yak-9D no. 86. 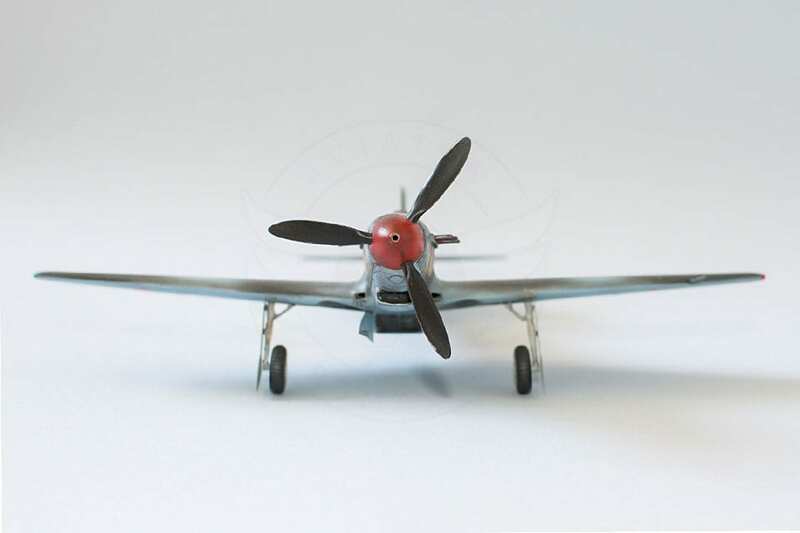 All in all it is a model of a Yak-9D that I recommend to experienced and less experienced modellers.